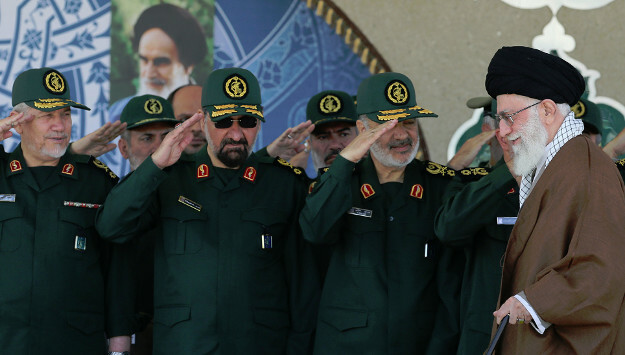 The Iranian general also cautioned Israel against relying on American or European support. “Don’t count on America, Britain and France. They will reach at a time when you are nonexistent, like an ambulance reaches a death person only to take him to the cemetery. Therefore, you should watch out your actions and do not make dangerous calculations,” Salami warned. Comment: The April 9 suspected Israeli air strikes on Syria’s T-4 air base has heightened tension between Tehran and Tel Aviv to a new level. At least seven Iranian military personnel were killed in the attack and Iranian political and military leaders have vowed revenge. Iran’s Foreign Ministry said this week that the Iranian-led “resistance forces” will punish Israel for the strikes. Ali Akbar Velayati, a top advisor to Supreme Leader Ali Khamenei, echoed a similar warning to Israel during his latest trip to Damascus. “This crime will certainly not go unanswered,” he told reporters in Syria. According to the Times of Israel, Salami’s statement may also be a response to the IDF providing the Israeli media a map showing five Iranian-controlled bases in Syria, which the Israeli military see as potential targets. The latest escalation indicates that a collision between Iran and Israel in post-ISIS Syria may be inevitable in the near future.